Air pollution in Qatar vastly exceeds safe limits and is damaging the health of the population, a new report by the World Health Organization (WHO) has found. The study, Ambient air pollution: A global assessment of exposure and burden of disease, analyzed the effect of ambient (outside) pollution on residents’ health in 103 countries. The report concluded that Qatar has the second highest levels of PM2.5 particles in the world, behind Saudi Arabia. These types of particles are small and fine, making it easier to affect the respiratory system and thus particularly dangerous to health. Qatar’s urban areas contain an annual average of 105 ug/m3 of PM2.5 particles, compared to Saudi Arabia’s 127 ug/m3, the world’s most polluted country by this measure. By contrast, the UAE average was around 64 ug/m3. According to WHO guidelines, annual average PM2.5 values should not exceed 10 ug/m3. To calculate the new pollution statistics, the WHO used data from ground measuring stations and combined it with information collected from satellites. This allowed it to get an up-to-date picture on the current levels of pollution in each country. It then created an interactive map that shows the modeled (estimated) pollution levels across the world. 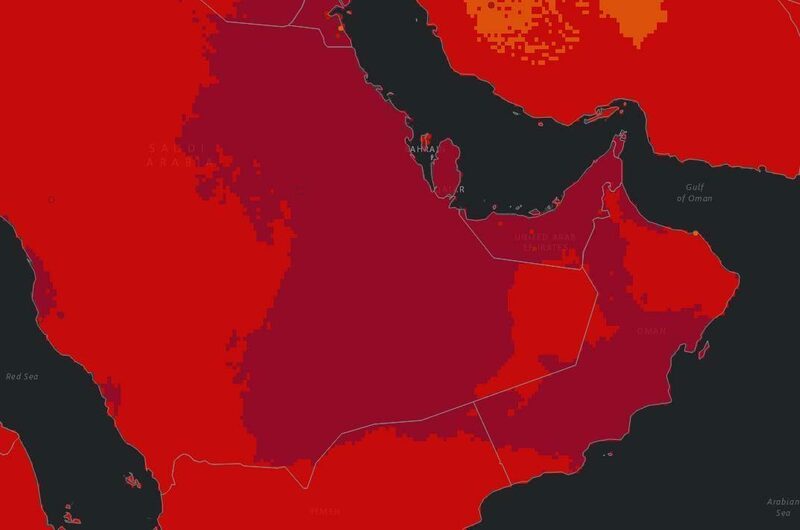 Qatar’s section of the map is shaded in the darkest color, meaning that its annual average PM2.5 rates are in the highest category. WHO’s most recent ground-measured pollution data for Qatar is from 2012. This information showed that Doha had the 12th highest average levels (93 ug/m3) of PM2.5 of all world cities. The town of Al Wakrah to the south ranked 25th on the same list (85 ug/m3). However, the satellite showed a grimmer picture. It stated that Qatar’s urban areas – Doha and Al Wakrah combined – now have an annual average of 105 ug/m3, a significant increase from four years ago. This could be explained in part by the country’s building boom. The report’s authors said that they chose to focus primarily on PM2.5 particles as these are “highly relevant” for measuring the impact of pollution on health, which is an increasing concern for scientists and medical professionals. “Exposure to air pollutants can affect human health in various ways, leading to increased mortality and morbidity. Today, air pollution is the largest environmental risk factor,” the report said. PM 2.5 particles – which often cannot be seen with the naked eye – are made up of heavy metals and toxic organic compounds. They can originate from vehicle exhausts, smelting plants and the burning of organic materials, as well as from desert dust. According to the US Department of Health, exposure to fine PM2.5 particles can cause a range of health problems, both short and long-term. They include coughing, shortness of breath, chronic bronchitis, reduced lung function, lung cancer and heart disease. Furthermore, recent research has shown that these particles can reach the human brain, potentially causing diseases like Alzheimer’s. Although Qatar’s pollution readings are some of the worst in the world, the number of deaths attributed to poor air quality is not as high, according to the report. WHO gauged the impact high levels of pollution have on the health of residents in countries around the world by estimating how many people will die from certain diseases as a result of the pollution around them. In Qatar, WHO said that 31 out of every 100,000 people will die as a direct result of pollution from one of the health problems listed above. However, it is higher than nearby UAE (28), and much higher than countries like the UK (13) and the US (7). Similarly, Qatar’s figures for disability-adjusted life years (DALY) – the number of years lost due to ill-health, disability or early death after exposure to air pollution – is also in the middle range of all countries listed. Residents in Qatar apparently lost 759 years to disability per 100,000 residents in 2012. This is compared to 1,438 in Saudi Arabia, and 3,151 in the worst country on the list, Turkmenistan. “Small particle pollution has health impacts even at very low concentrations – indeed no threshold has been identified below which no damage to health is observed,” the report said. It remains unclear why Qatar’s high pollution levels don’t correlate to high levels of early death and/or disease. However, it’s possible the country’s PM2.5 particles could be less harmful than others found elsewhere in the world, as they are at least partly formed in the desert. The origin of PM2.5 particles is important, because some are thought to be more harmful than others. 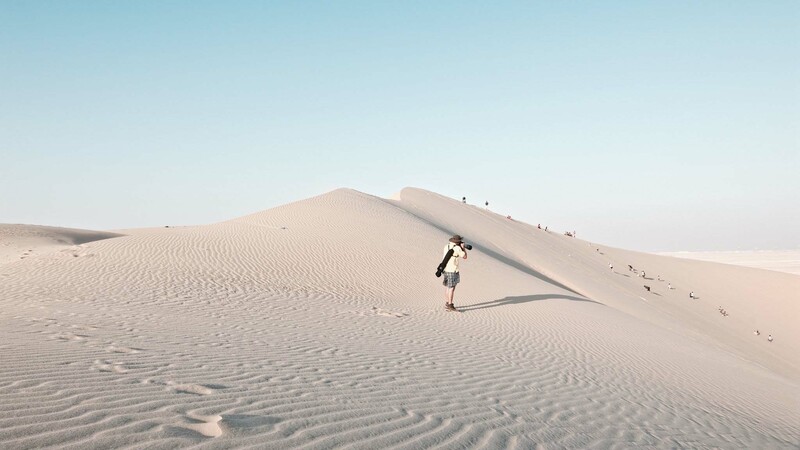 A breakdown of what comprises Qatar’s particles is not available, but recent research that looked at the sources of PM2.5 in the Middle East as a whole suggested that around half of the particles came from the desert. This may mean that Qatar’s air pollution levels, while still worrying, may not cause as many health problems as the bare statistics suggest. “PM2.5 particles may come from desert dusts, and health impacts of those are less well known than those of human origin,” she said. 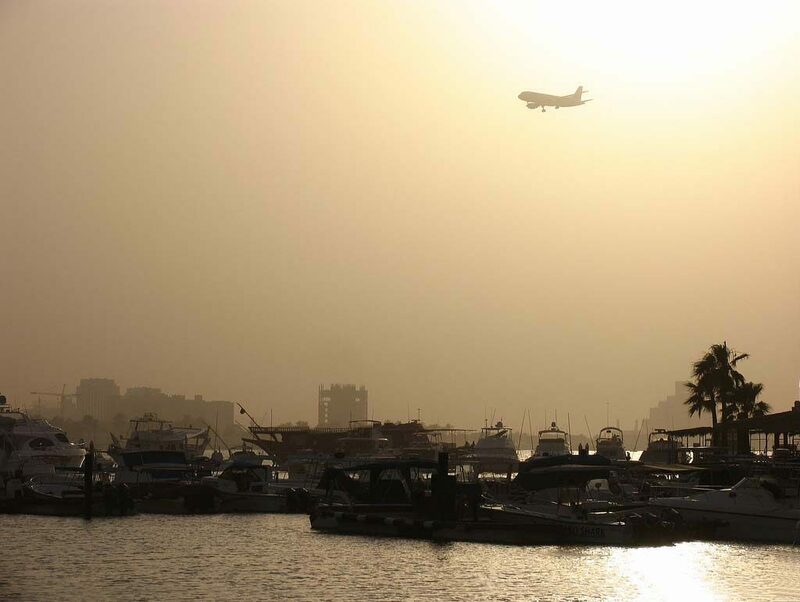 Qatar does not make daily pollution readings available to the general public. More people in Qatar are taking up smoking, according to new government figures that show the habit is becoming more popular among adults and teenagers alike. Some 12 percent of the country’s adult population (ages 15 years and up) admitted to currently smoking tobacco, up from 10 percent the previous year, according to the latest Global Adult Tobacco Study (GATS). The numbers are the result of an international World Health Organization initiative. According to another such project – the Global Youth Tobacco Survey (GYTS) – nearly 10 percent of 13 t0 15-year-olds in Qatar are also smoking cigarettes – up from 6.5 percent in 2007, local media reports say. Smoking appears to have become particularly popular among girls in Qatar. While in 2007, some 2.3 percent of girls ages 13 to 15 years old said they smoked cigarettes, the latest figures show this has risen to 4.7 percent, Gulf Times reports. For boys of the same age, the number of cigarette smokers increased by 1.5 percentage points, up from 13.4 percent in 2007 to 14.9 percent last year. To arrive at the results, the Supreme Council of Health (SCH) and Supreme Education Council (SEC) surveyed a total of 2,109 pupils from years 7 to 9, 1,716 of them ages 13 to 15 years old, with the results feeding into the GYTS. These international surveys monitor the tobacco use of young people, as well as teens’ attitudes toward smoking and how they are influenced by their surrounding environment, including peers, family and media. Using real figures, the surveys aim to help governments cut smoking rates and tackle the most influential factors in individual countries. The survey of randomly selected adults from 8,398 households across Qatar found that just over one-fifth of all men in Qatar smoke (20.2 percent), compared to just 3.1 percent of women. Meanwhile, nearly 3.4 percent of adults said they were current shisha smokers – 4.9 percent of men, and 1.6 percent of women. These numbers appear to be the first available figures on shisha smoking in Qatar. Notably, in a reflection of local cultural practices, the favored locations for shisha smoking differed for men and women. While 85 percent of male shisha smokers chose to partake in a cafe, two-thirds of the women said they usually smoked at home. Last month, top medical officials from across the Gulf gathered in Doha to discuss shisha smoking, which is a popular pastime in Qatar. Many of them called for increased regulations, including outlawing smoking in public places. There have been some attempts to regulate shisha use in restaurants, although without much success. 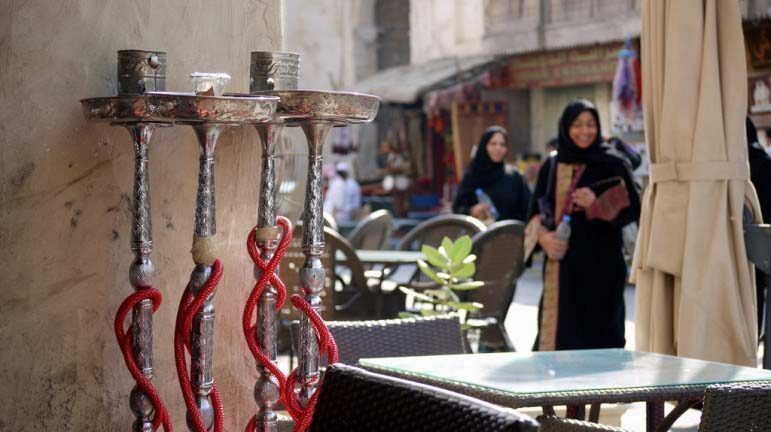 Last year, restaurants in Souq Waqif were told to set aside half of their outdoor tables for non-shisha smokers. But that policy was quickly scrapped, when restaurants managers said they had long queues for people wanting to smoke shisha, while the non-smoking tables lay empty. Figures from the two new reports also show that incidents of “passive smoking” in Qatar continue to be a problem. In response to the GATS survey, one-quarter (25.9 percent) of adults said they had been exposed to second-hand smoke in restaurants, while the youth survey showed that nearly half (47.9 percent) of students said they were exposed to tobacco smoking in public places. It is illegal to smoke in enclosed spaces in Qatar, but enforcement – particularly at popular malls – has been a longtime problem. “There is no safe level of exposure to secondhand smoke, and even brief exposure can cause serious damage. There has been recent discussion in Qatar about introducing stricter anti-smoking laws, although no defined timeline for this has been given. Dr. Ahmed al Mulla, director of Hamad Medical Corp’s anti-smoking clinic, was reported in April this year to have said that new legislation is expected to be approved by the Advisory (Shura) Council “soon,” but this has yet to happen. Shutting down shops who repeatedly flout the law. The GATS survey also showed that many smokers in Qatar start young. Nearly half of all current smokers started taking up the habit before the age of 18 (45.5 percent of all current smokers are ages 20 to 24 years old), while nearly 10 percent of men who currently smoke started when they were younger than 15 years old. The report said: “Increasing the price of tobacco through higher taxes is the single most effective way to encourage tobacco users to quit and prevent youth from starting to smoke. While influences such as family members who smoke play a part, media and marketing also play a role. Around 20 percent of students said they owned items that have tobacco company branding, while four in 10 said they noticed tobacco promotions at tills, the Peninsula reported. The SCH’s Director of Public Health, Dr. Mohammed bin Hamad al Thani blamed the rise in smoking among young people in Qatar on tobacco companies’ campaigns. “(They) constantly work on targeting new customers and they have been able to attract a percentage of women in Qatar in the last few years,” Qatar Tribune quotes him as saying. Al Thani also said he was considering introducing a tax on shops which sell tobacco in Qatar, however he added that such a move would need consensus from all GCC states. 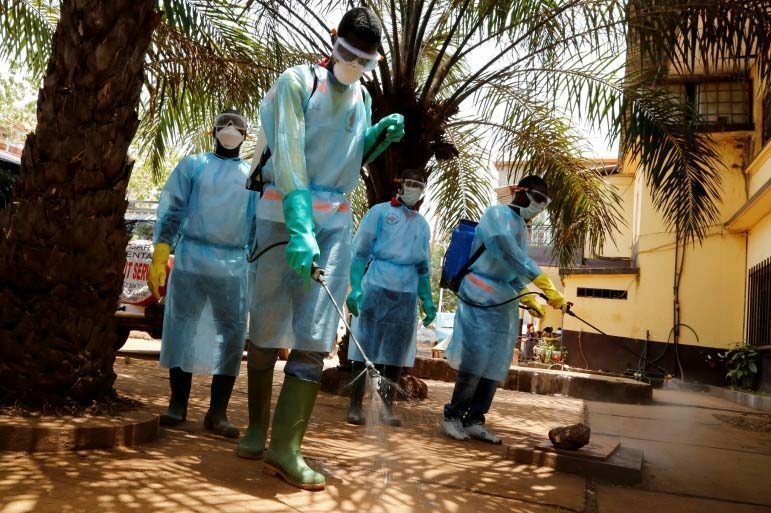 The Ebola epidemic that began in West Africa this year and killed nearly 1,000 people is now officially a global health emergency, the World Health Organization (WHO) has announced. However, no general bans on international travel or trade were called following a two-day emergency meeting of global health experts in Geneva. Still, any countries with Ebola transmission, including Guinea, Liberia, Nigeria and Sierra Leone, should declare a national emergency, though should be no general ban on international travel or trade. “The Ebola outbreak in West Africa constitutes an ‘extraordinary event’ and a public health risk to other States; the possible consequences of further international spread are particularly serious in view of the virulence of the virus, the intensive community and health facility transmission patterns, and the weak health systems in the currently affected and most at-risk countries. 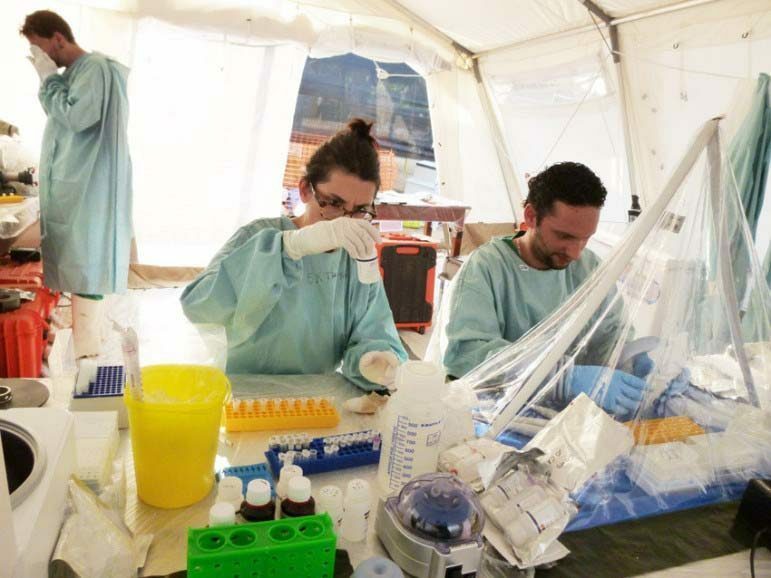 (And) a coordinated international response is deemed essential to stop and reverse the international spread of Ebola. According to Qatar’s Supreme Council of Health (SCH), no cases of Ebola have been detected in Qatar since the virus experienced an outbreak earlier this year in West Africa. As of Aug. 4, WHO said that 932 people have died from the virus and more than 1,711 cases have been reported (1,070 confirmed, 436 probable and 205 suspected). There is no vaccine for Ebola yet. The virus does not spread through the air like the flu, but only through contact with bodily fluids of someone with the illness. Symptoms include the sudden onset of fever, muscle pain, headache and sore throat. This can be followed by vomiting and diarrhea, impaired kidney and liver function and internal and external bleeding. The incubation period for Ebola is two to 21 days, but patients only become contagious once they begin to show symptoms – not during the incubation period, according to the SCH. Health authorities in Qatar have assured residents that necessary precautions are being taken to prevent Ebola from reaching or spreading here. 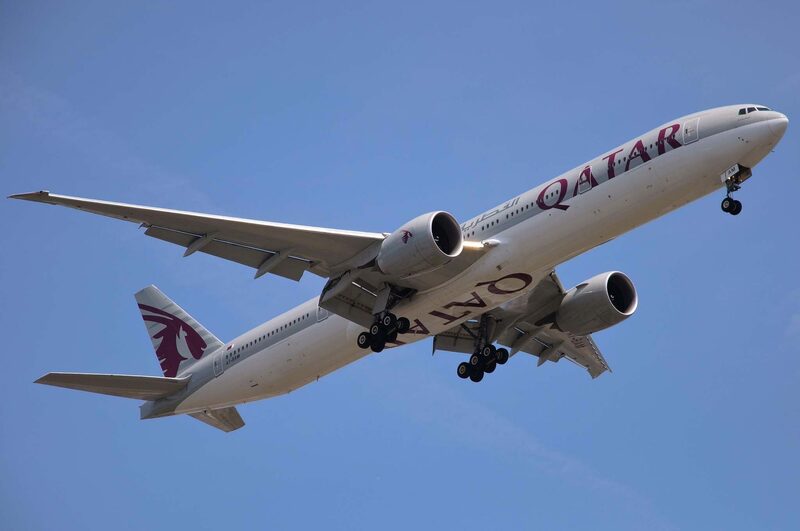 “With Qatar’s airport being a major hub for travelers, we have been on high alert, particularly upon hearing that the virus has traveled by air. Meanwhile, some regional airlines and airports have put restrictions in place as a way of preventing Ebola from entering its borders. Before the international emergency was called, Kuwait warned its citizens against flying to Guinea, Liberia and Sierra Leone. The Kuwaiti Ministry of Health has publicly urged its Ministry of Interior to suspend those from all three countries from entering Kuwait by temporarily stoping the issuance of visas. Saudi Arabia has also responded to the outbreak by upping its airport screenings and banning Muslim pilgrims from the three countries. A Saudi man, suspected to be infected by the virus, died at a specialized hospital in Jeddah on Wednesday, according to Saudi health authorities. The man is believed to have caught the virus during a recent business trip to Sierra Leone, although test results have not yet confirmed he had Ebola. Meanwhile, two American aid workers diagnosed with Ebola this week have been flown from Liberia to a hospital in Atlanta to receive treatment. The two workers are the first to be tested with an experimental drug called ZMapp. So far, doctors have said it’s too early to see results. ZMapp has never been tested on humans, nor has it undergone any clinical trials. The drug is expected to boost immunity systems so that those who are infected can fight off the virus through the three monoclonal antibodies contained in the serum. The antibodies have been made by lab animals who have been exposed to elements of the virus. The US government health agency Centers for Disease Control and Prevention (CDC) has made it clear that the drug is not a vaccine that prevents infection, but rather a therapeutic product that can treat those who are afflicted with Ebola. WHO has planned to convene a panel of medical ethicists next week to discuss the ramifications of using an untested drug and who should receive it, given extremely limited supplies. Read WHO’s full recommendations on how states should handle Ebola here.